As static pieces of motorcycle art the creations of Fuel Bespoke Motorcycles are perfectly at home amongst the best in the business. The fact that they also excel at the tough world of long distance trial riding is truly incredible. Inspired by the heyday of International Six Days Trials proprietor of Fuel Bespoke Motorcycles Karles Vives builds some of the most battle hardened customs on the planet, not built just to look like they can take on desserts, they can and do! So when Didier, a French customer saw Fuel’s own R80 STrial, he made the call and ordered one customised just to his liking. 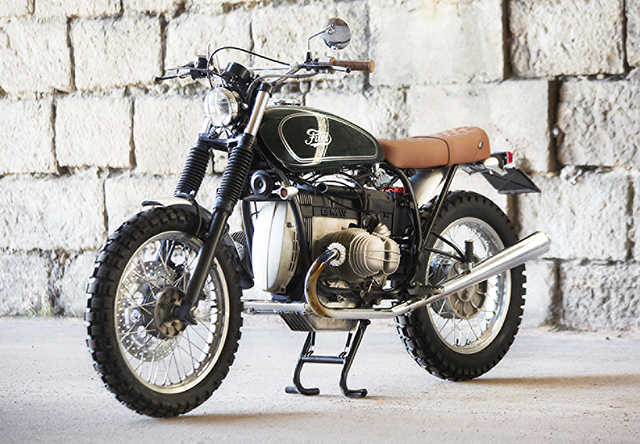 The blank canvas is a 1985 BMW R80 ST thoroughly eliminated of everything Karles deems unworthy of his creations. 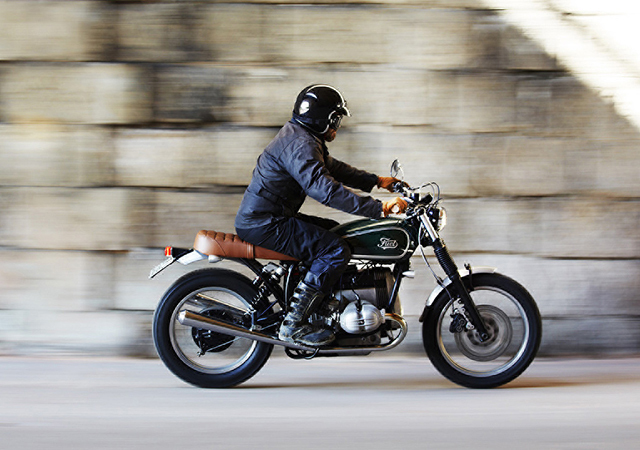 Borrowing from the BMW parts catalogue is the more suitable K75 sport front end that required modifications to the axle and triple trees to work. 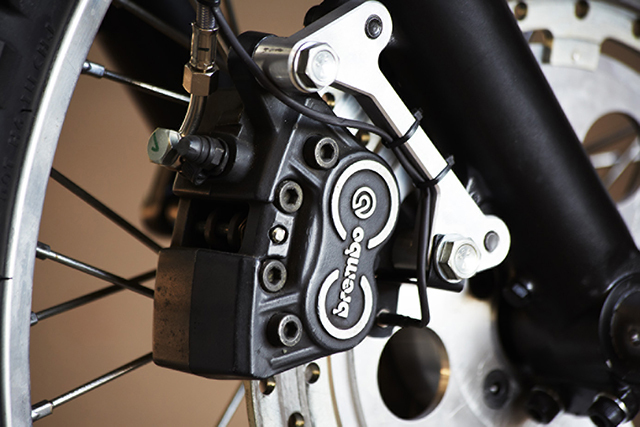 Designed in house by Fuel and then built by a brake specialist is the front stopping power that includes a large 320mm disc, Brembo 4 piston caliper and Nissin master cylinder. 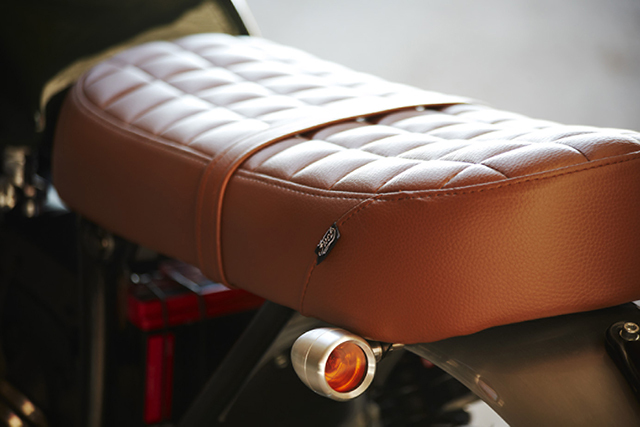 Didier’s brief included a seat capable of riding two up, a distinct difference from the original STrial which is strictly solo. With this in mind Karles developed an entirely new sub frame that is both shorter and narrower than stock and importantly much stronger for those long days off road. Ensuring the rear tyre is planted and handling all manner of terrain is a multi-adjustable Wilbers shock, while rider and potential passenger sit in style on the hand crafted Fuel seat. With the rigors of trials riding reliability becomes hugely important if you don’t want to get stranded out in the wilderness. So the emphasis is on keeping things simple, but that didn’t stop Karles from fitting a 2 plus 2 exhaust arrangement with stunning Hoske mufflers. 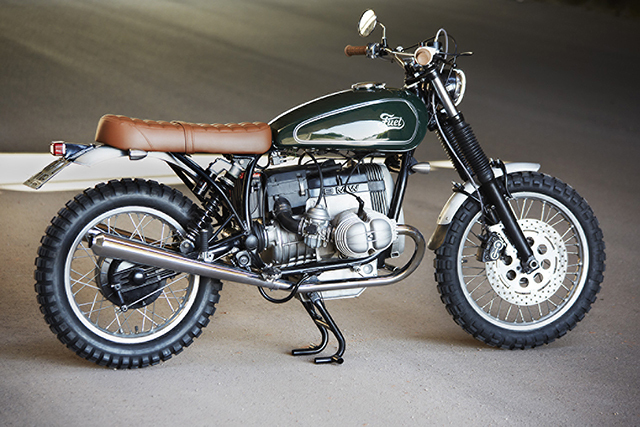 While the engine remains distinctively BMW the tank is in fact taken from a Kawasaki z900 and painted like the original STrial giving the otherwise boxy Bavarian some distinctly flowing lines. 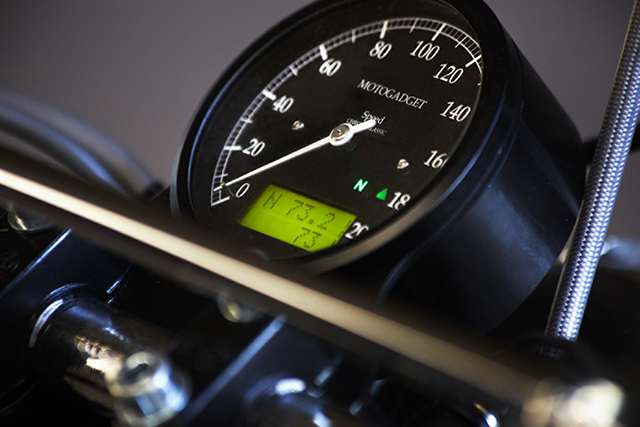 Completing the form and function of this special trials machine are Tomasselli handlebars and SW-Motech on-Road/Off-Road Footpegs for controls while a Motogadget speedo relays the vitals. 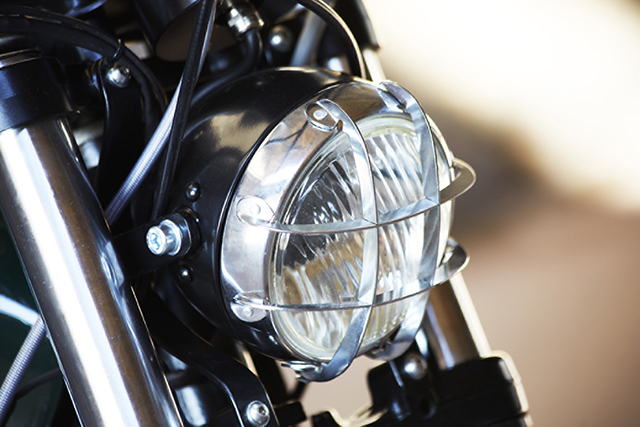 The headlight is taken from a classic Spanish trials bike mounted with Fuel brackets and Indicators from Moto Posh Japan. 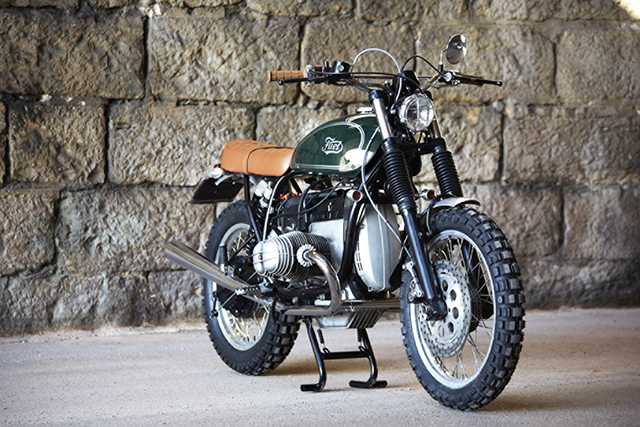 The front and rear guards, spoked rims and Continental TKC 80 tires complete the utilitarian trials look. And if you still weren’t convinced of Karles trials credentials the crew at Fuel Bespoke Motorcycles organise the annual Scram Africa, a trip of more than 2000 km for classic trail and neoclassic bikes to the south of Morocco by road, trail and dune. And with everything from factory built adventure bikes from the big makers to one off Fuel customs it surely must be a sight to see.